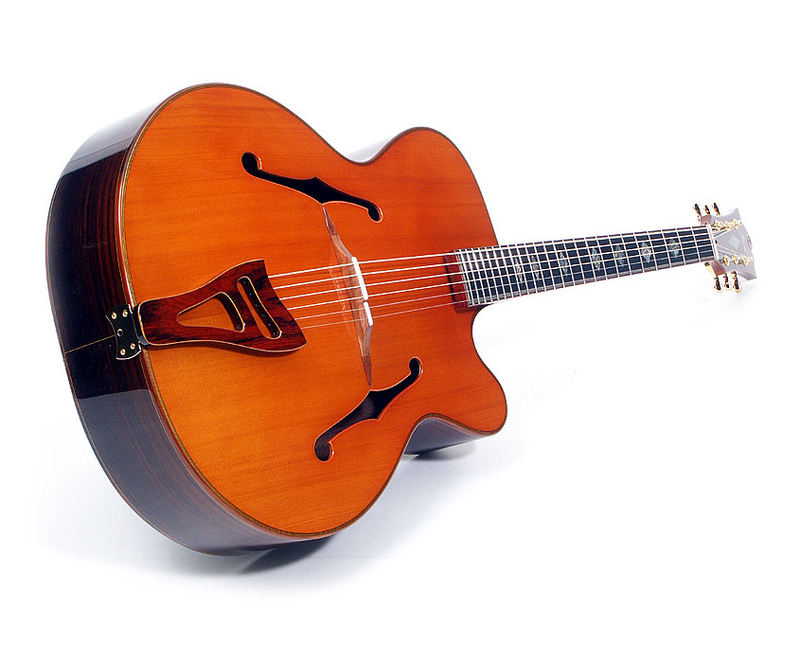 Truly new to the choice of acoustic archtop guitars available on the market today, Evolution is a guitar with the volume and clarity of a top-flight acoustic instrument and that typical archtop tone. 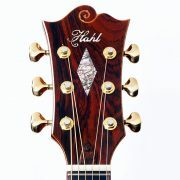 “The neck has enough girth for a good tone and is still slender enough for excellent playability. 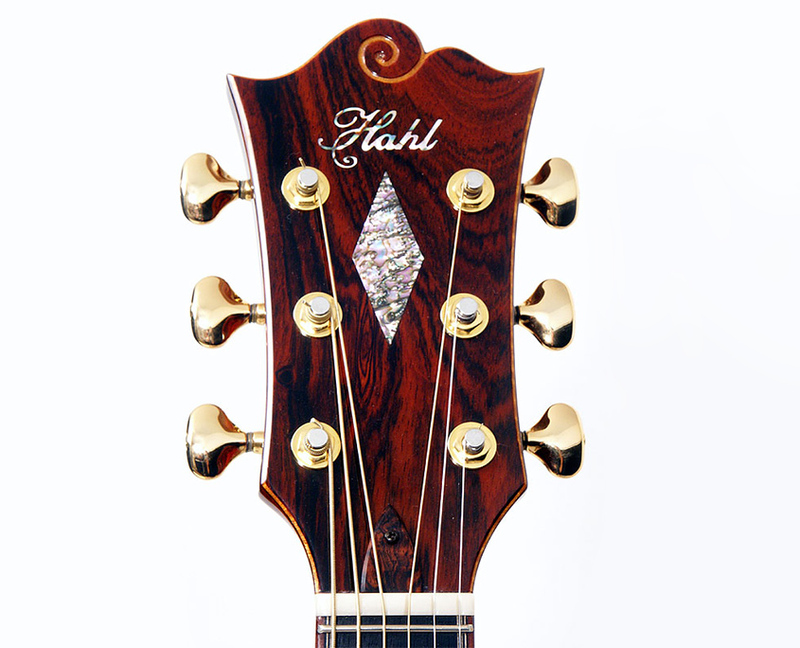 The gold-plated Gotoh tuning machines with height adjustable posts are a joy to use, see and touch, and they ideally complement the Hahl Evolution in every respect. 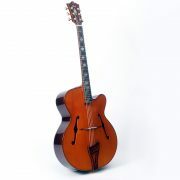 This Hahl archtop is an exclusive guitar and the exclusivity has its price. 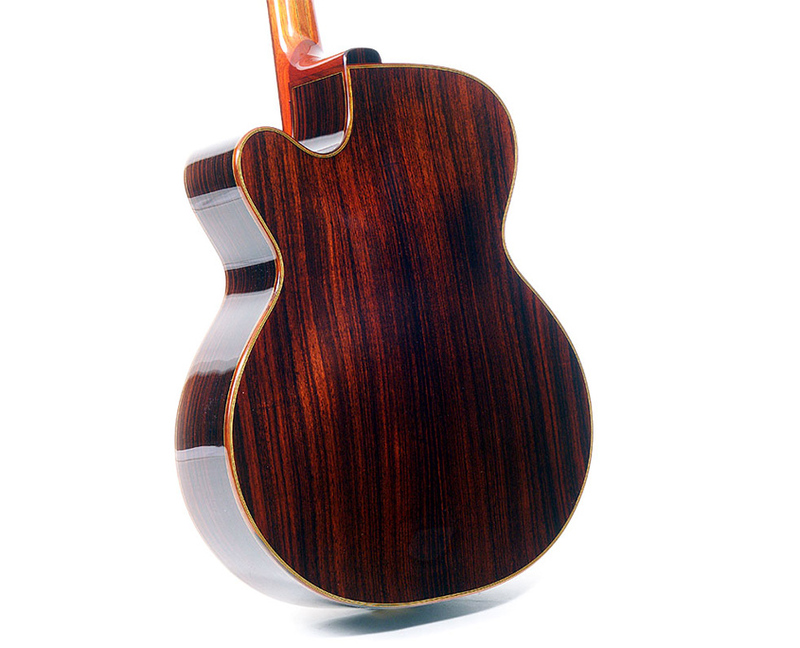 One can rightfully expect only the best materials and craftsmanship, and that’s exactly what this guitar delivers! 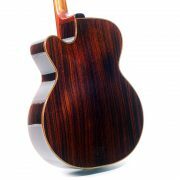 The selection of tone woods, the workmanship, overall looks and finish are of highest quality. There is absolutely nothing to criticize. On the contrary, it is a joy to see and hear such a perfectly built guitar. 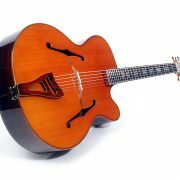 The Evolution blends acoustic steel string and archtop qualities together to produce a tone that is clearly the result of this combination. 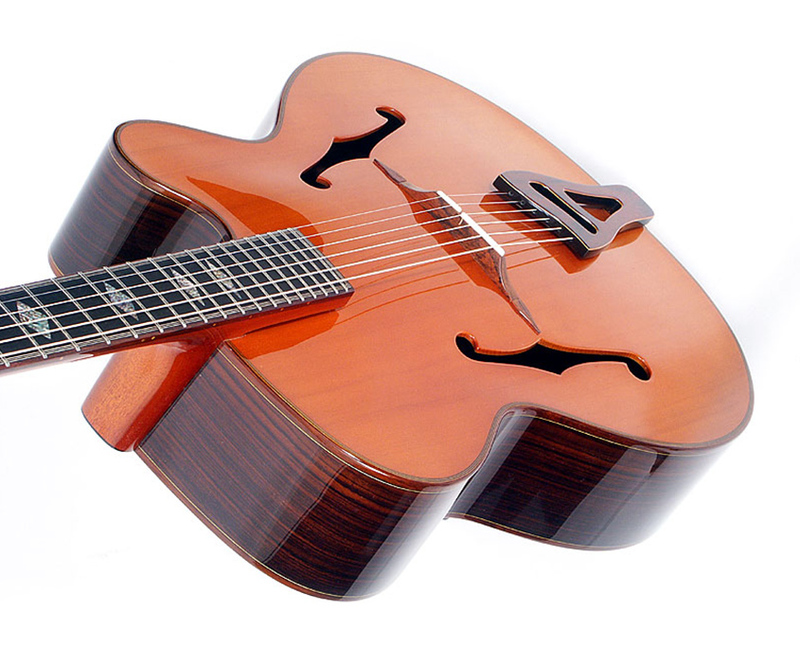 It has the vibration response and volume of a quality acoustic guitar, however, its voice is more jazzy. Slightly higher mids and less brightness in the upper range blend to create pleasing warmth throughout the sound register. Evolution’s sound offers clearly structured lows and rich mids without sounding nasal, dark or dull. The upper mids are a tad reserved, lending the sound a pleasantly subdued touch, which is very desirable for jazz playing. In the upper realms of the high range, the sound displays the diversity of its character with soft brilliance rather than sparkling highs, adding a refined understatement that is representative of the guitar’s unpretentious elegance. The Evolution’s sound is easily influenced by the choice of strings, leaving flat or half wounds, bronze and phosphor or bronze strings the freedom to display their character. Have you ever listened to a quality concert piano? From close up? Hahl’s Evolution offers comparable resonance. You can literally hear the tone projecting from the guitar’s body. You can feel the vibration of the tone woods. However, before we fall to our knees, let us remember that this instrument is “only” a guitar – but one with enormous tonal potential in the hands of a skilled guitarist. Two things really came to light during the tests. First, the musician is less in danger of playing too many notes, since it’s much too enjoyable listening to the individual notes, shaping them and feeling how the guitar competently responds. 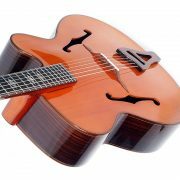 Second, the player unexpectedly finds himself in the highest registers, facilitated by the cutaway and joining of the neck and body at the 16th fret. The sound up there is also of astonishing substance. 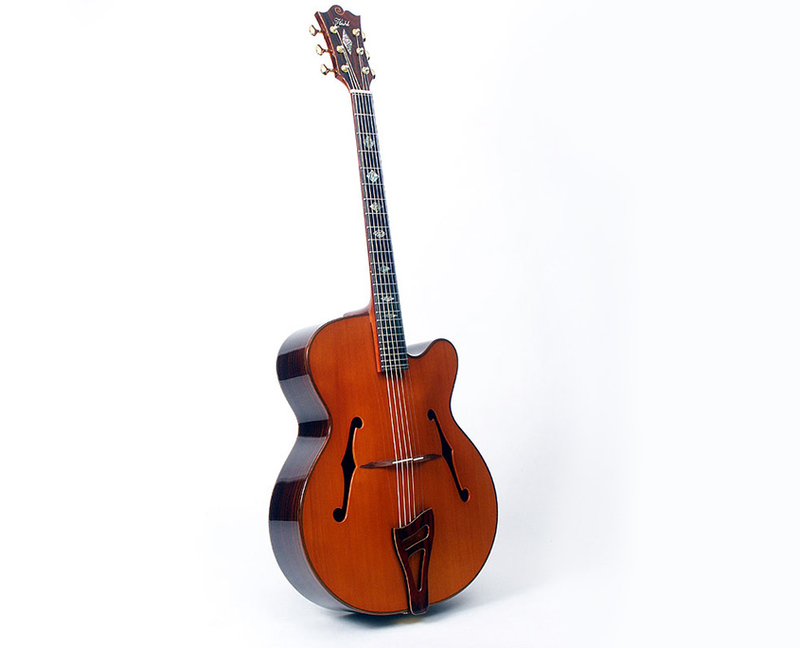 Right where many other guitars appear lean and without punch, the Hahl archtop delivers plenty of sustain and fat tone for the shaping of the notes.